According to the National Center for Learning Disabilities (NCLD), the Elementary & Secondary Education Act (ESEA) / No Child Left Behind (NCLB) reauthorization in Congress is moving at lightning speed. NCLD has identified significant threats due to the misinformed and dated views of some Congressional members based on what students with learning disabilities cannot due instead of what they are capable of doing with the appropriate accommodations. The biggest threat seems to be the belief that students with disabilities need to be taken out of the general assessment and given alternate assessments which takes the students off track for a standard high school diploma that then impacts college and future potential. ESEA governs everything in public schools, including inclusion in the general education setting. The one thing that NCLD keeps hearing from the Congressional Representatives is that they need to hear from the parents: what the parents think and what the parents want. Please tell Congress that it must maintain high expectations for students with learning disabilities as they rewrite ESEA/NCLB. Congress must ensure that students are prepared to graduate from high school, ready to succeed in college or in a career. The law must also provide early identification of attention and learning issues, such as dyslexia, as well as classroom resources and teacher training in evidence-based methods, such as structured literacy. Also, please request that your Congressional Representative join the Dyslexia Caucus, now headed by Representatives Lamar Smith and Julia Brownley, so that we can count on his or her support for national level legislation in regards to dyslexia. Please note: Representative Marcia Fudge is the only member of Congress from Ohio on the House Education and Workforce Committee, a crucial committee in which any legislation impacting education must pass through. It is of the upmost importance that residents in her district contact her and request that she joins the Dyslexia Caucus. This post comes courtesy of Paul Godwin, one of the admins for the Facebook group Homeschooling Dyslexic Kids, where this was originally posted. I have been contemplating writing a post for the Dads for quite some time. This will be a long post, but please take the time to read it. I wanted to give my perspective as a Dad who probably did everything wrong before we found out our child was dyslexic. Academics came very easily to me. I did not have a lot of patience with my son when it came to his struggles. I did not understand what the problem was and I thought it was just a lack of effort on his part. As men we are taught that, although not everything may come easily, if you just work hard enough you can accomplish a set goal. I could not fathom why it took my son so long to accomplish basic tasks such as reading a single word on a flash card. I had ZERO patience. Once he finally started getting the flashcards down, we moved on to sentences with the words from the flash cards. This was a disaster. He could not read anything. I was livid. I would berate him for what I deemed was a lack of effort. I did not get my “Compassionate and Understanding Dad” merit badge. There were other things that drove me crazy. He had great difficulty in doing things that I thought should have come easily. Tying shoes, riding a bike, and other fine motor skill functions did not come naturally. I remember becoming so frustrated when trying to teach him how to ride his bike that i picked up the bike and threw it into an empty lot in our neighborhood. Deadline to apply is Wednesday, February 11, 2015! This Scholarship is awarded in honor of a high school senior formally diagnosed with dyslexia who is a worthy role model for others, refuses to be limited by the challenges of learning differences, strives for excellence, chooses to live as an achiever, and enriches the lives of the families, friends, employers & communities with whom he/she interacts. The Scholarship recipient will be awarded a cash prize of $250 to support this student’s postsecondary education endeavors. The recipient will have an opportunity to accept this award at the 27th Annual Dyslexia Symposium and Keynote Speaker Dinner to be held on Thursday evening, February 26, 2015 at the Renaissance Cleveland Hotel. This award is given at the discretion of the Student Scholarship Committee of the NOB/IDA. The purpose of the Hope and Aspirations: NOB/IDA Young Adult Literacy Fund is to provide monies to students in need of assessment to establish accommodations for dyslexia or related reading disorders in the post-secondary setting. Monies may also be used for young adults (18-30) in need of remediation services for dyslexia or related reading disorders, whether or not they attend a post-secondary institution. Here are some recent issues of the Academy of Orton-Gillingham Practitioners and Educators Newsletters. To see past newsletters or to receive future issues, please consider joinning the Academy as a subscriber member. 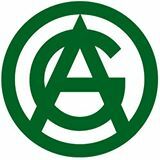 The only organization expressly established and authorized to set standards for the practice of the Orton-Gillingham Approach, to certify teachers, and to accredit instructional programs that meet these standards. Contact them for a list of certified tutors in your area. This 10-hour online course was developed by the Fellows of the Academy to help teachers, parents, tutors, and other education professionals understand and recognize dyslexia. In an effort to help as many people with dyslexia and other learning disabilities as possible, IDA collaborates with like-minded organizations. IDA does not endorse or recognize organizations but instead, partners with organizations to highlight services that align with IDA’s purpose to pursue and provide the most comprehensive range of information and services that address the full scope of dyslexia and related difficulties in learning to read and write. . . In a way that creates hope, possibility, and partnership. Dyslexia Connection: This monthly electronic newsletter for parents focuses on public school advocacy and other issues facing parents with children who have dyslexia and related learning disabilities. The Examiner: IDA’s monthly e-newsletter will keep you abreast of happenings at IDA and on dyslexia and literacy-related events around the world. Perspectives: IDA’s quarterly, full-color publication, Perspectives on Language and Literacy discusses educational best practices, curriculum methods, case studies and first-person application of multisensory structured language teaching techniques. Annals: IDA’s tri-annual Annals of Dyslexia is an interdisciplinary, peer-reviewed journal dedicated to the scientific study of dyslexia and related language disabilities. Reading and Writing: Reading and Writing is an interdisciplinary journal containing articles on the processes, acquisition, and loss of reading and writing skills. Your IDA membership will also connect you with the IDA Branch closest to your home and you will receive local information, access to workshops and events and full membership in the branch. You will gain access to IDA’s listing of professional service providers in your area. 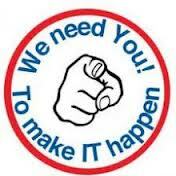 Please contact your local branch of the IDA to see if they have any local support groups in your area. If there aren’t any in your area, please consider working with your local IDA branch to start one! If you go to the doctor’s for a sore throat, and the test shows you have strep throat, you expect the doctor to give you antibiotics because that is the evidence based standard for the treatment of strep throat, a bacterial infection. A doctor would never substitute vitamins for antibiotics because antibiotics were not available. Furthermore, the doctor would not lead you to believe you were getting antibiotics when you were really getting vitamins. Not only is this malpractice, but improperly treated strep throat could lead to rheumatic fever with the bacteria attacking and damaging the heart. Yet this is what the educational system does to students with dyslexia. The appropriate evidence based instruction, the “antibiotics”, for students with dyslexia is structured literacy, but this type of instruction is not widely available. The instruction that many schools use for students with dyslexia is based on whole language, the “vitamins”, because it is widely available. Not only do schools use the wrong instruction that is not evidence based, but they lead parents to believe their child is receiving appropriate instruction, the “antibiotics”, when in reality the child is only receiving the “vitamins”. And when the student fails to make progress, falls further behind, damaging the student’s self esteem and future potential, somehow it is the fault of the student and/or the parents. This type of treatment would never be allowed in the medical field, yet it is all too common in the educational field for students with dyslexia. When will students and parents be protected from educational malpractice? This may sound harsh, but I can’t help but feel this way after hearing a school’s suggestion to parents whose first grader is struggling with learning to read. The school suggested the child be held back, repeat first grade. The parents asked what the school was going to do differently to get a different outcome. The school responded that was good question. Really, that was all the school had to offer?!?! It is only half way through the school year and the school has already given up on teaching this child and the only solution offered was for the child to repeat first grade?!?! Why did the school not lead with the offer to evaluate the child for a specific learning disability? This is educational malpractice. In medicine, if research found new ways to save lives, health care professionals would adopt these methods as quickly as possible, and would change practices, procedures and systems. Educational research has found new ways to save young minds by helping them to become proficient readers; it is up to us to promote these new methods throughout the education system. Young lives depend on it. ~Louisa Moats, Ed.D. Excerpts from Dr. Keith Stanovich: Matthew Effects – Does Reading Make you Smarter? The idea of cumulative advantage and disadvantage effects in a developmental model of reading. You have well developed phonemic representations, hence you struggle less with the code, and your phonological decoding is good so you recognize words well, very early in your reading experience. If you recognize words very well you have a lot of capacity left over for the high level comprehension processes we were just talking about. If you have a lot of capacity for those, stories are interesting because you are thinking about them and the stories are interesting so you read more, and you read more and develop more of those decoding processes. And then interestingly, what developed in the Matthew Effects paper, even when, let’s say you get to further stages of reading where decoding processes are asymptoting and other types of high level inferential processes are coming online, well you have a built in advantage there because all this reading you have been doing has been building declarative knowledge, it’s been building lexical distinctions, it’s been building vocabulary, all of the things that you are going to need let’s say post 4th grade as well. There are 2 really separable domains of intelligence: the so-called fluid intelligence: abstract problem solving, and the so-called crystallized intelligence: declarative knowledge, vocabulary, lexical distinctions, verbal facility. Now since the Matthew Effecst paper, since some of the work that our group has done and many other groups on the effects of reading, the effects of exposure to print, crystalized intelligence is just massively built by reading itself, independent of education, independent of fluid intelligence. Regardless of what your levels of abstract problem solving are, you build declarative knowledge, you build lexical distinctions with reading, and reading is uniquely efficacious. If crystalized knowledge is part of your concept of intelligence, and it is for 90% of the theorists out there, then in fact, reading does make you smarter. The Matthew Effects paper was written in 1986 prior to the widespread use of tools that are now capable of reading print aloud. Reading in this sense encompasses all forms of reading, whether by eyes, ears, or fingers (braille). The point of the video is that there is a difference between our everyday speaking vocabulary and the vocabulary we are exposed to through “print”. Through print, not only are we exposed to a significantly richer vocabulary as well as more complex sentence structures which enhances our overall language ability, but we are also exposed to concepts which build upon our existing knowledge base. Wrightslaw’s What is the Matthew Effects? This post comes courtesy of Marilyn Bartlett, PhD, JD, who was initially denied accommodations for the bar exam, filed a landmark lawsuit, Marilyn Bartlett v. NY State Bar, Board of Law Examiners, for reasonable accommodations and won! Dr. Bartlett is a professor of education law, a member of the Wrightslaw team, and an advocate for dyslexia. Hi all, I have a few recommendations. Many of the questions being raised can be answered if you purchase two books. 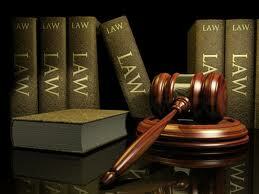 I highly recommend reading from Wrightslaw: “Special Ed Law, 2nd ed. ; “From Emotions to Advocacy; All About Testing and Assessments; and All About the IEP. You should also carry these books to every meeting you attend! That way, when the school personnel tell you something isn’t possible, if you know you can’t put your finger on the right page (most people tab the entire book so laws and issues are easy to find), slide the book across the table and ask them to show you where such and such is written in the law. In addition, you should go to your school district web page and download the School Board policy pertaining to special education issues- put this in a binder along with your state’s statutes pertaining to special education. Keep yourself armed with the law. AND if you make a notebook such as that which is suggested in “From Emotions to Advocacy,” then you’ll have your child’s papers at your fingertips. If your state does not require a meeting to discuss what tests are needed, you can insist on a meeting for this purpose. It is at this meeting that you will sign the necessary permission forms. At this meeting, if the “chairperson” does not do it, YOU take over and go to the board and record everyone’s opinions of your child’s strengths and weaknesses. The weaknesses will point directly to which tests need to be given to your child. For example, if two or three people agree that in their classes your child never knows what homework is to be done and comes to class with the wrong pages, etc., ask if the homework is assigned by writing on the board, if yes, there may be visual perception problem(s); if the homework is given orally, then it could be auditory perception problem(s). Does this make sense? If the directions are given orally and the teacher says, “do questions 3, 6, 7, 9, and 11 and your child does 9 and 11, again, this would suggest an auditory perception problem. Once the “strengths” and “weaknesses” are listed, it is very difficult for the school personnel to wiggle away from the problems your child manifests in class!! Finally, ALWAYS insist upon a WISC intelligence scale so you will know where your child should be performing. BUT you must also insist that the test be scored twice. Once is a FULL SCALE score; the second is to ask that up to TWO of the subtests be removed in the areas of your child’s disability (this will be self evident when you see one or two subtests with very low scores) (oh, again, the one or two subtests that are much lower than the rest of the test point to areas that need further testing using tests validated for those areas. You can only do this with the WISC tests! The recalculated score is a better indication of your child’s true IQ. No other IQ test has been created in such a way that you can take out the subtests and rescore; Only David Wechsler created his tests this way!! If your child’s IQ is above 122-125 and your child is only doing “B”/”C” work in class – passing and indeed above the average child in class, the school personnel may try to argue that this is good enough! Come back with a soft voice to the entire group, “If your child had a 125 IQ would you be satisfied with C’s and B’s?” Ask the question slowly so the words will sink in; maybe ask it softly a second time. Then put some people on the hot seat and ask them by name! When the issue becomes personal, it’s a different matter. If you have an older student, please make sure to read Dr. Bartlett’s Transitioning from high school to post-secondary education: Why transition from the IEP to a 504 plan in the freshman or sophomore year is important! Are there different types of dyslexia? People with this subtype of dyslexia simply have a harder time processing the individual sounds that make up spoken words and they have a harder time mapping the sound (phoneme) to the written letter (grapheme). The 2nd subtype of dyslexia is a deficit in rapid naming. People with this subtype of dyslexia will have normal phonological processing, but their fluency and comprehension will be affected by the retrieval of language based information. These are the people that will have problems with word recall, either by saying the wrong word or the word is “on the tip of their tongue”. This affects fluency because it takes longer to retrieve language information. This also affects comprehension because sometimes the retrieved language information is wrong, ie retrieving the wrong definition or wrong word can change meaning. The 3rd subtype of dyslexia is double deficit: deficits in both phonological processing and rapid naming. This subtype is the least common and the hardest to remediate. Research from neuroscientists at MIT and Stanford/UCSF now supports Maryanne Wolf’s theory on the 3 subtypes of dyslexia by showing different patterns of brain activation when reading and rhyming words. Children with a deficit in phonological awareness only, rapid naming only, or difficulty in both areas each showed different patterns of brain activation and connectivity as revealed by MRI. What does “table space” have to do with reading? The State Board of Education elections are critically important as 7 of the 11 elected seats are up for election and the board leadership hangs in the balance. 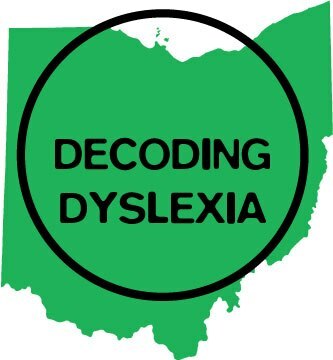 Decoding Dyslexia OH supports public education but does not endorse any political candidate. We wanted to raise awareness about this important election so that voters can make educated choices when casting their ballots on November 4, 2014. It is important to note that 2 currently elected board members are not seeking re-election: Debe Terhar of District 4 and Debbie Cain of District 8 (term-limited). Why is voting for a State Board of Education member important? The State Board of Education interprets and implements educational related legislation passed by the Ohio General Assembly. State Board of Education candidates do not run based on party affiliation, so it is important to know their stance on issues that are important to you prior to going to the polls. Pursuant to ORC 3301.079(B)(3) and 3313.60, it is the responsibility of Ohio’s local boards of education to vet and approve curriculum and educational materials for use in the public schools within their district. 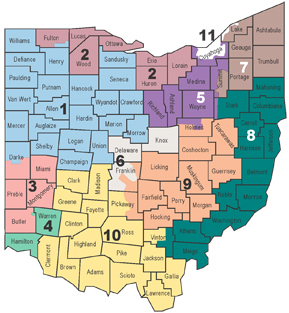 The use of any materials posted or linked to on the Ohio Department of Education website, including materials within the Common Core State Standards or Appendices or any state model curricula or other educational resource material, is entirely up to the discretion of each local board of education. Please click on the the candidate’s name to be taken to their campaign website or facebook page. If the candidate is an incumbent, clicking on incumbent will take you to their biography posted on the Ohio Department of Education website. There are a few candidates that no campaign website could be found. If there is one, please email Info@DecodingDyslexiaOH.org so the link can be added. The terms of the following appointed members end on December 31, 2014. These members can be re-appointed by the governor. Plunderbund: Remember in November: Be an Educated Voter!